Horsely Lodge Wedding Photography - Shooting for a former colleague and awarding winning photographer, Jane Barlow ( Press Association's Scotland staff photographer) knew what she was getting and what she wanted for her sisters wedding pictures at Horsley Lodge Golf Club in Derbyshire. Lovely and relaxed, lots of kids running around while Claire and Daniel enjoyed the day. Another great set of pictures in the evening - this time with giant balloons and a pond to play with. 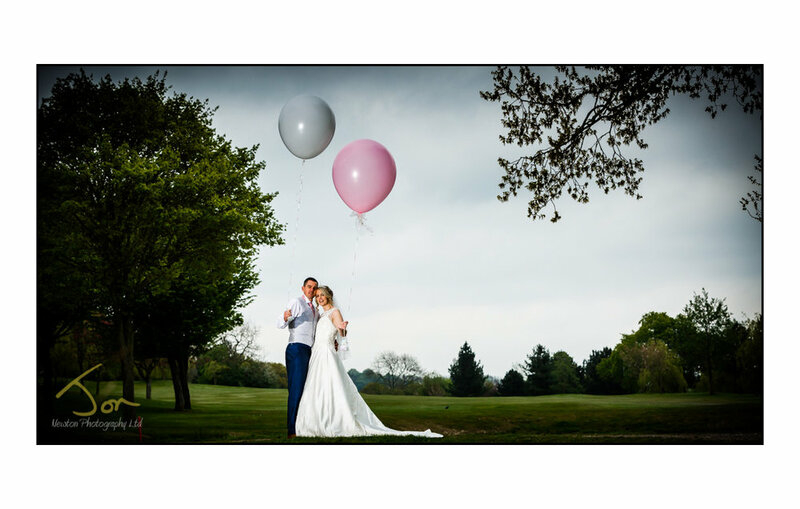 Documentary Wedding Photographer in Derby, Derbyshire, Nottinghamshire, Leicestershire, Staffordshire and the Midlands.